The TripGo mobility platform lets you create apps providing seamless and personalised door-to-door trips using any public, private or commercial mode of transport. This includes real-time data as well as integrated bookings and payments. It’s a single API connecting you to hundreds of transport providers around the globe. Access to and routing by any mix of public, private and commercial transport modes, including ride and car shares, to deliver the most efficient, cost effective and quickest trips. 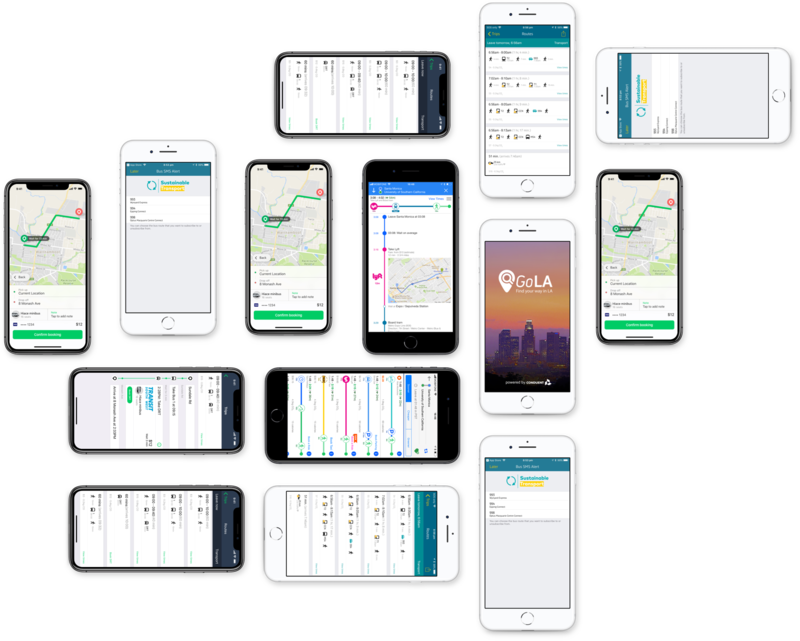 Predicted departure and arrival times, GPS locations of services and alerts for public transport, traffic, bike and car shares updated every ten to sixty seconds, depending on region. Shows available parking spots for integrated services. Mobile ticket purchase straight through the app allows for a seamless travel experience. Supports hundreds of locations around the world. More locations are added every month. Allows for automatic planning of trips to, from and between personal calendar or public events. Intelligently proposes the best connections. Skedgo provides personalised trip planning and mobility as a service technology, for leading start-ups, corporations and governments. Our senior developer team offers tailored solutions leveraging our unique API. The result: organisations can seamlessly and rapidly integrate multi/mixed modal transport services, parking, book & pay features, events and itineraries. Our experience in providing personalised solutions and professional support, for each and every project, ensures fast development cycles and successful outcomes. We combine the agility and cutting-edge of a start-up with the depth and skill of a senior developer team. Together with our clients and partners, we shape the future of mobility and smart cities. Best travel transportation app ever!!! You can not travel around without its help. Such an intuitive and easy to use app. Great UI and accurate information, it will save you heaps of time. Great app! Gives option to select huge amount of travel options (bike, public transport, bike share, etc). I have a hopeless sense of direction and this app gets me there every time, ahead of time! Hats off chaps.